Autumn is in the air. Autumn is definitely one of my absolute favorite seasons, I have been waiting for this since the oppressive heat wave we called “summer” began several months ago. The crisp dry air, the earth scented breezes and the magnificent colors are a comfort and a delight. I always look forward to the first chair tea of the year, the first roasted pumpkin, the first fall flavors. Of course, the farmer’s market becomes one of the most happening places in town this time of year, brimming with countless veggies and other offerings. 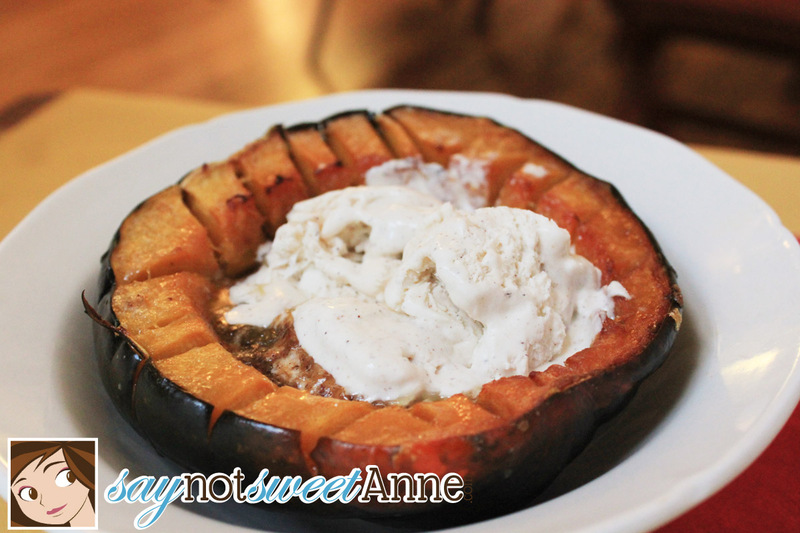 Last year, my husband and I bought and acorn squash to try a new dessert. We served it for Thanksgiving to family and friends. 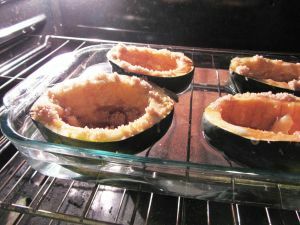 I wasn’t sure how it would come out, as I’d never eaten a roasted acorn squash before. It. Was. Amazing. So amazing that this year, as soon as I started to feel the chill, I began craving it. This time though, I added ice cream! I just can’t get over how delicious and sweet these are. I’m not usually a big pumpkin pie fan, so this is my quintessential fall flavored dessert. Plus, I love to use super fresh squash from the local farmer’s market. 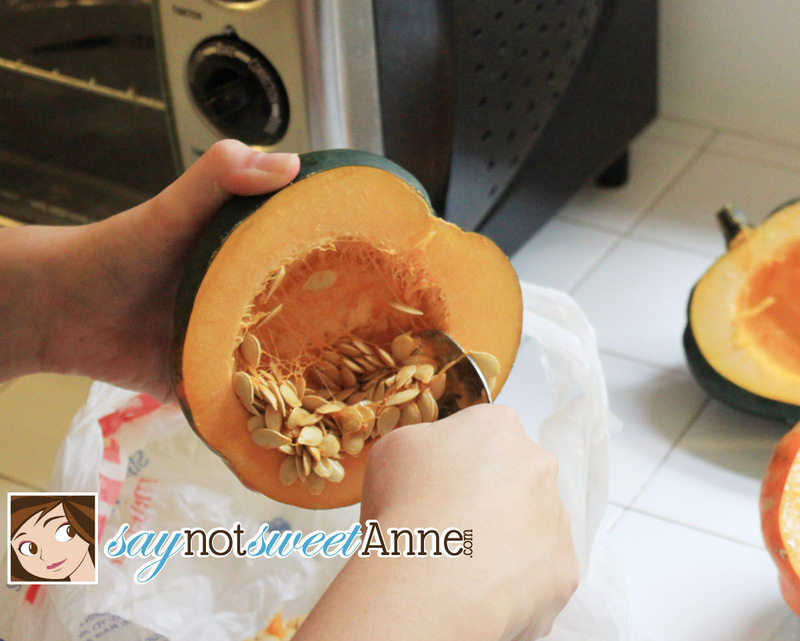 Preheat oven to 400, cut the squash in half lengthwise and scoop out seeds/strings. 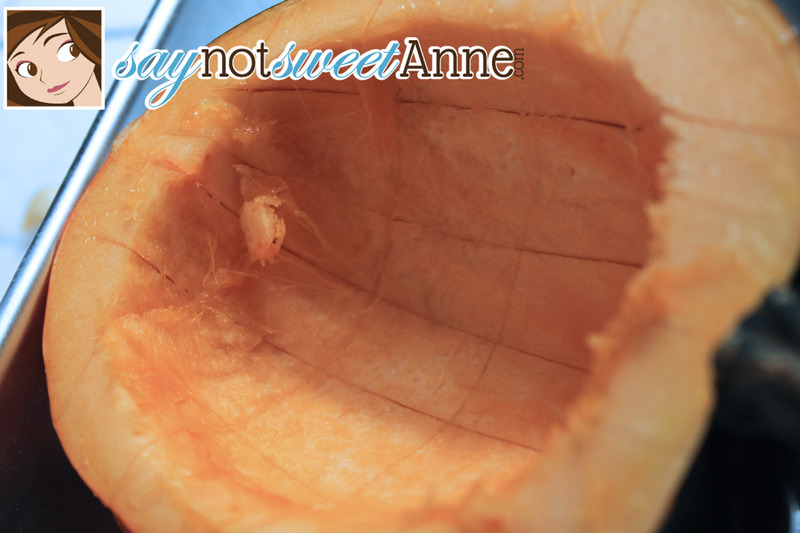 Score the inside of the squash several times, to allow the toppings to seep in. 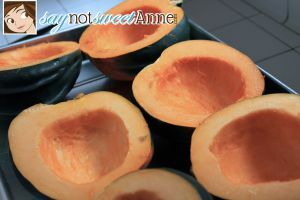 Place halves in a baking dish, open side up. Fill dish with 1/4 inch water. Coat the interior of the halves with butter. Spread brown sugar over butter, and drizzle with maple syrup. 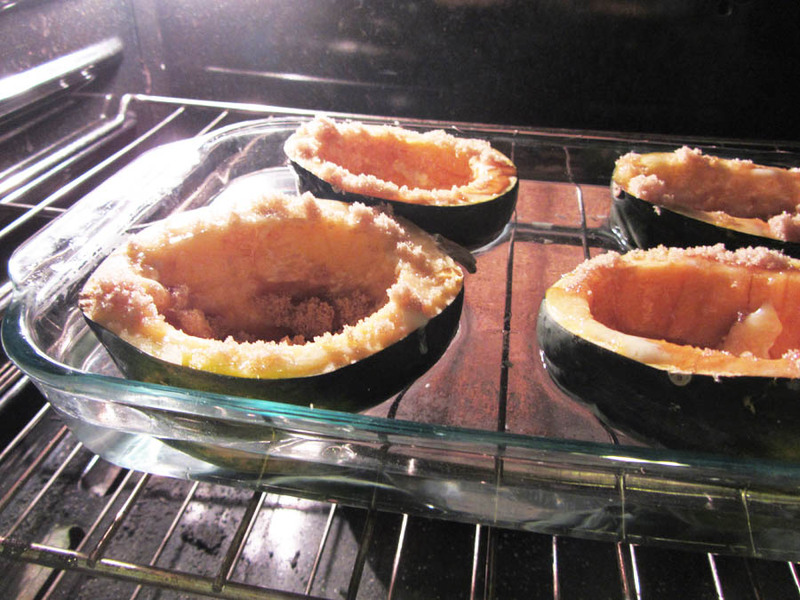 Bake for 1 hour to 1 hour 15 minutes until squash is tender and tops are browned. Ever since I made the Cheese Cake Ice Cream, I have been IN LOVE with making quick flavored ice creams at home. 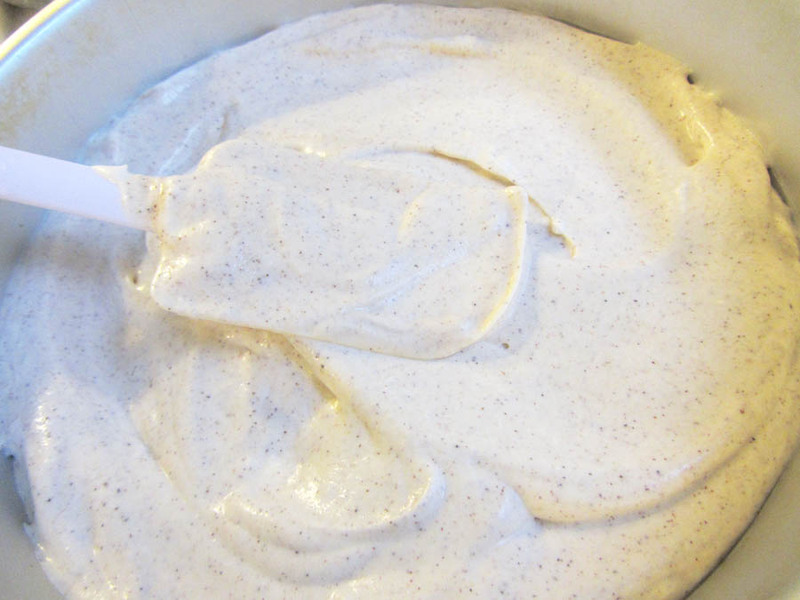 This recipe is pretty much the same as the Cheese Cake Ice Cream, but with different spices. 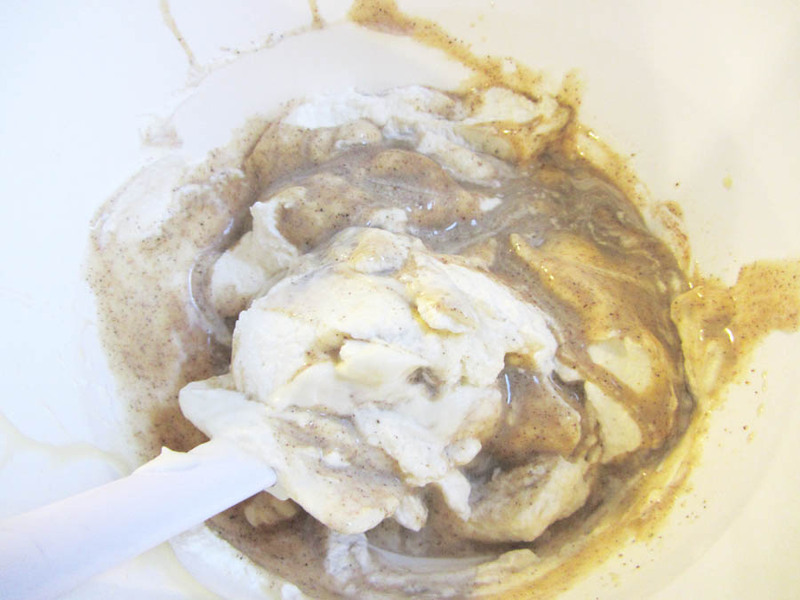 Plus- you don’t need an ice cream maker! 1 hour before making, place pan in the freezer. Whip heavy cream until stiff, set aside. 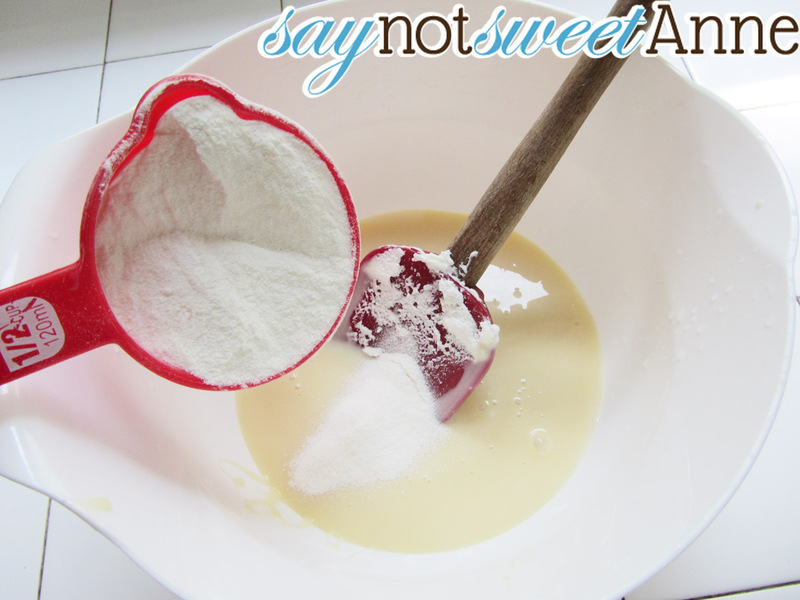 Add spices to condensed milk. Mix until smooth. 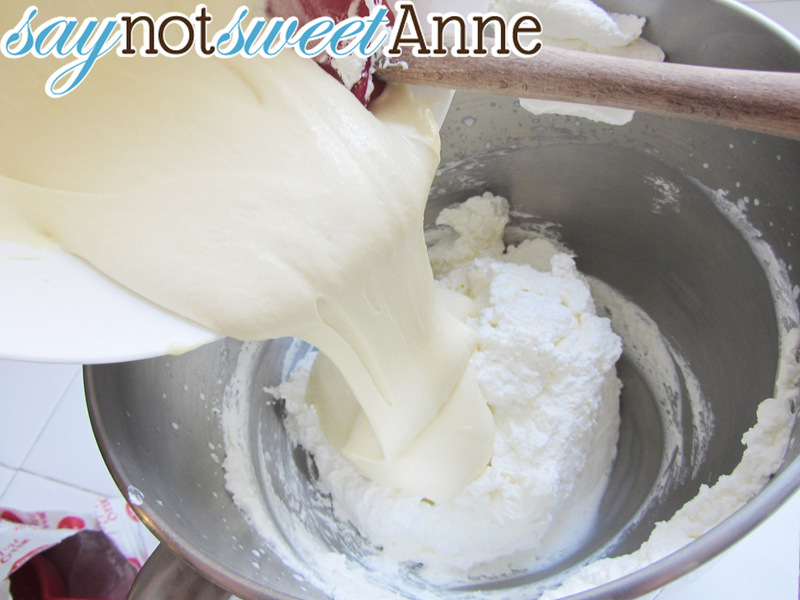 Gently fold condensed milk mixture into heavy cream. 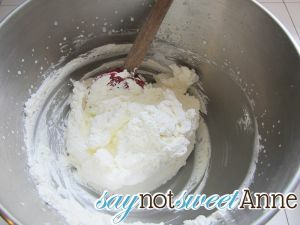 Once combined, spread ice cream mixture into pan. Place ice cream into freezer until firm. 4-6 hours. 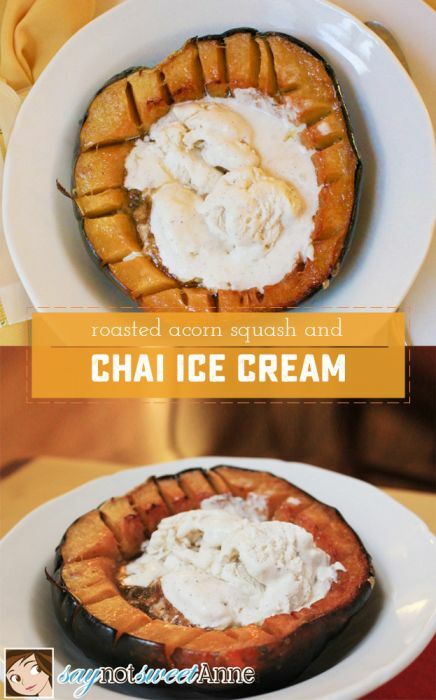 Serve ice cream with warm squash and you have a fall flavored dessert that’s out of the ordinary and exquisitely delicious. I hope you all try it, and let me know what you think! 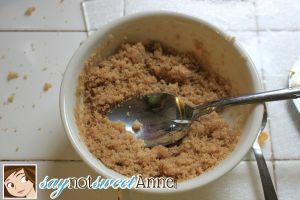 I love anything chai, so I am so pinning this – – eager to try out your recipe! Congrats on the feature at A Pinch of Joy! 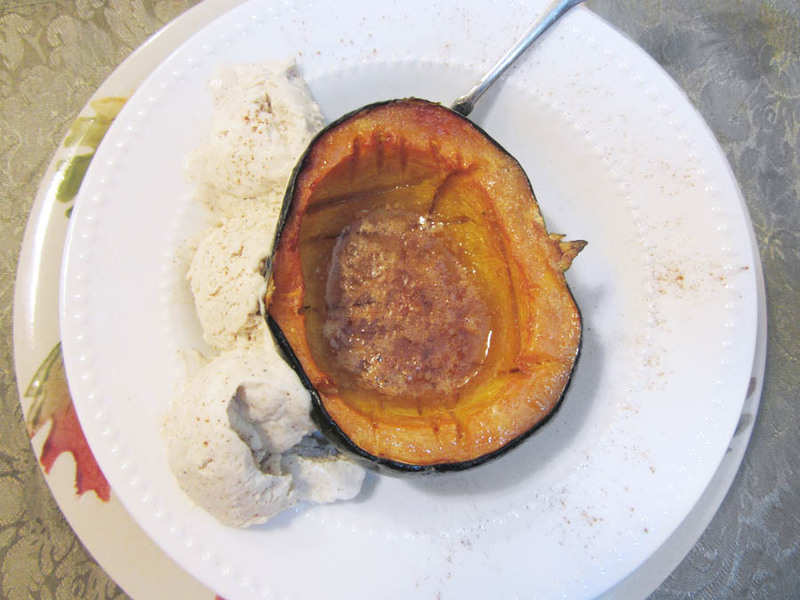 I love acorn squash, too, but had never thought of it as a dessert! And with ice cream! And ice cream without an ice cream maker! Awesome post! Lol! I’m glad you like it! So far, I’ve “perfected” 3 non-ice-cream-maker ice creams. One is even LOW fat/Sugar. (Not quite as creamy as normal ice cream.) I can’t take credit for the squash. 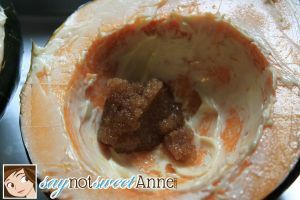 It was my hubby who wanted to make it a dessert. Oh boy its fabulous! I’m making it again this weekend for the inlaws! Oh my gosh those both sound fabulous! We make acorn squash like that too, but I never thought to put maple syrup in it, yum! And chai is basically my favorite, so I bet that ice cream is fabulous 🙂 Stopping by from The Winthrop Chronicles!